In regards to Will and Trust laws, when a petition goes to probate, it may turn out that a person needs to contest the petition because of a mistake made, finding conflicting information, or having additional information to provide the court with. In order to get the first petition canceled, an individual would have to prepare a new petition, called a competing petition. In the competing petition, the individual must first clearly identify why he or she is objecting to the first petition so that it does not get approved. Then the person filing the competing petition would file all new documents as if setting up a new probate. Typically then the first petition would be moved to the new petition's court date, and the court would settle the issue. A competing petition for probate must be filed correctly with attention to detail in order to be effective. While filing a brand new petition with all new documentation and fees is important in the process, it is equally as important to properly contest the previous petition to ensure it does not get approved. Also, it is up to the individual filing the competing petition to ensure that the first petition gets moved to the new court date, as sometimes it may not automatically happen. If the issue is not resolved on the court date, then it may need to go to mediation. This may take time and additional money. If mediation still cannot settle the case, it will then move to a court trial where it will be determined if the competing petition or first petition will be approved. Having an attorney's help when setting up a competing petition for probate would be extremely beneficial in ensuring it is done right. An estate planning attorney can make sure you fill out all necessary paperwork properly, so that your competing petition is clear and so that the first petition does not get approved. If the case goes to mediation or a trial, an attorney will represent you and help ensure the competing petition is approved and that the probate can move forward. If you believe that a will or trust needs to be contested before it goes to probate, you need a competing petition lawyer to help you protect your rights. 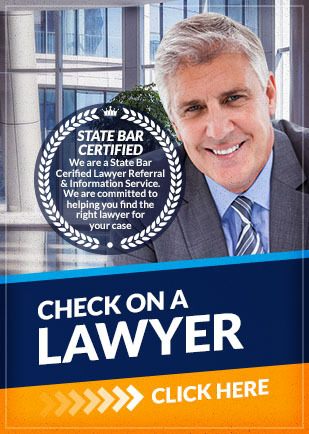 Attorney Search Network can find you the right will contest lawyer for you.